Is your jet lackluster? A wee bit pedestrian? Or just not, you know, bespoke enough? We feel your pain. But if that’s the case, we have good news. A secretive studio just outside of Paris is here to help you pimp out your ride: The Sur-mesure atelier at Hermès produces custom orders that will up the wow factor of any space a few notches—whether it’s creating made-to-measure leather interiors for a plane or high-end trinkets and conversation pieces. Basically, if you’re an Hermès loyalist who has had your fill of the French luxury brand’s exclusive, ready-made items, a store can refer you to this specialised workshop where craftsmanship is taken very seriously—and comes with a price tag to match. Speaking to Bloomberg, the design director for the brand’s made-to-measure projects, Axel de Beaufort, pointed out a few of the most notable of these projects, including boxing gloves and a picnic basket costing around £34,000 and £11,300 respectively. Of course, that’s child’s play compared to a Gulfstream plane interior or a driver’s seat for a Porsche. Of course, while this service is clearly about personalisation, the workshop tries to ensure that each of these projects is imbued with Hermès’ notoriously understated sense of luxury. “With branding, people want to show off,” de Beaufort told Bloomberg. And if that’s the case, the brand gently guides customers towards something more subdued. 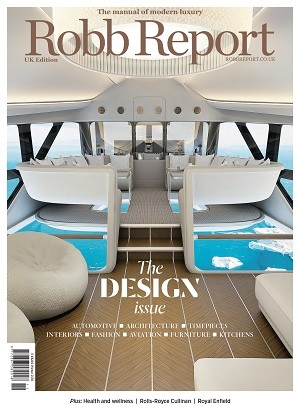 So, for those of you traipsing around the globe in your superyachts, consider the gauntlet thrown.